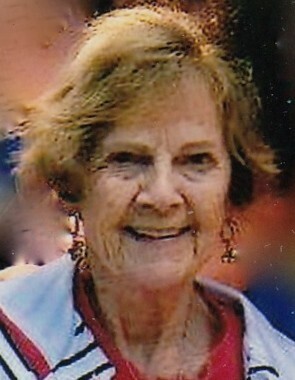 Lorabel Wildman of Warsaw, Indiana passed away at her residence at 11:05 p.m. on Monday, April 15, 2019 at the age of 95. She was born on June 10, 1923 in Milford, Indiana to Grace (Driver) Ferverda and Ray Ferverda. On November 26, 1946 she was married to Harold Rex Wildman, who survives. Lorabel was a 1941 graduate of Milford High School, she was an English teacher for the Warsaw School District having taught at Leesburg School and Warsaw High School. Lorabel also helped her husband Rex run Wildman Business Group, which he started in 1952. In 1963, they moved the company to Warsaw, and at that time it was known as “Warsaw Dry Cleaners and Shirt Laundry”. She enjoyed volunteering her time in the library of Edgewood Middle School in Warsaw and was also an E.S.L. volunteer. Most of all Lorabel was an exemplary advocate for her children, grandchildren, and all who came near her. She lived a long and full life and will be dearly missed. She will be lovingly remembered by her husband of 72 years, Harold “Rex” Wildman (Warsaw, Indiana); four sons: Steve (Susan) Wildman (Boulder, Colorado); Kent (Roxanne) Wildman (Warsaw, Indiana); Brent (Karen) Wildman (Winona Lake, Indiana); Rod (Nancy) Wildman (Winona Lake, Indiana); fifteen grandchildren and twenty-one great-grandchildren. She was preceded in death by her parents, daughter, Wendy Long, grandson, Jason Wildman, and her sister, Lucille Stafford. Lorabel’s life will be celebrated with a memorial service that will be conducted at 3:00 p.m. on Friday, April 19, 2019 at Warsaw Evangelical Presbyterian Church, 210 S. High Street, Warsaw, Indiana and officiated by Pastor Jonathan Childers. Burial will take place at a later date at Oakwood Cemetery, Warsaw. Arrangements were entrusted to Redpath-Fruth Funeral Home, 225 Argonne Road, Warsaw, Indiana. Memorial donations may be directed to 2nd Mile Missions, P.O. Box 733, Winona Lake, Indiana 46590 and would be appreciated by the family.